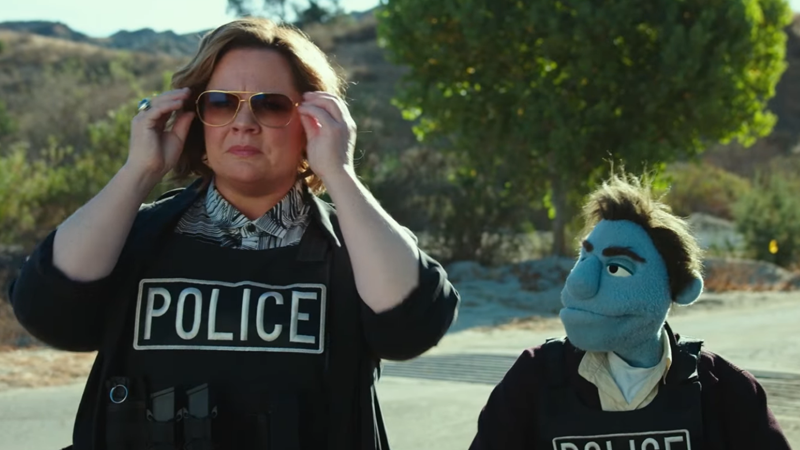 Puppet crime better watch out with Melissa McCarthy on the job in The Happytime Murders. Prostitution, drug use, murder, and more, all from the DNA of Sesame Street and The Muppets. Ladies and gentleman, hold on to your childhoods, this is The Happytime Murders. The Happytime Murders is an upcoming hard R-rated murder-mystery set in a world where humans and puppets co-exist. When someone starts killing the stars of a former hit TV show, a cop (Melissa McCarthy) will have to settle old scores with her puppet partner and try to solve the case. Trust us when we say, despite the fact this trailer stars a bunch of puppets, it’s very, very NSFW. Who thought the words “rotten cotton” could feel so, so disturbing? The Happytime Murders is directed by Brian Henson, son of the late Jim Henson, who directed Muppet Treasure Island and The Muppet Christmas Carol. But, as you can obviously tell, this is not the Muppets nor a family film. No, this is just classic, Jim Henson-style puppets like you’ve never seen them before. The film, which co-stars Maya Rudolph, Joel McHale, and Elizabeth Banks, opens August 17. If you can bear to do so, let us know your thoughts below. *Correction: We’ve changed the phrasing in the first sentence because, thought the Jim Henson helped start Sesame Street and created Muppets, neither is at all affiliated with this film. Obviously. Here&apos;s What the New Kermit the Frog Sounds Like—What Do You Think?